At Gustor we choose to only bring you topquality products. And now we bring you this beautiful piece of Canadian sirloin bison steak from a highly respected ranch in Vancouver. Because of special grasing methods they can keep their soil pesticide and artificial-fertilizer free. 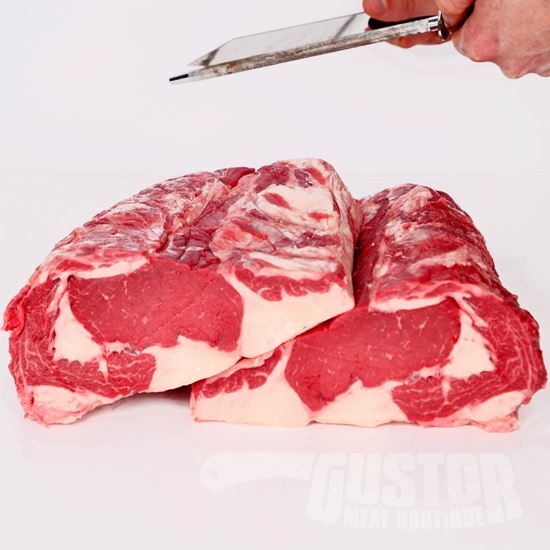 The bison meat comes fresh at Gustor. A part is immediately frozen. It may be that in case of a shortage of stock we deliver this bison deep frozen to you.